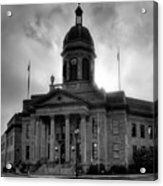 Sunrise On Cherokee County Courthouse In Black And White iphone x case by Greg Mimbs. Protect your iPhone X with an impact-resistant, slim-profile, hard-shell case. The image is printed directly onto the case and wrapped around the edges for a beautiful presentation. Simply snap the case onto your iPhone X for instant protection and direct access to all of the phone's features! 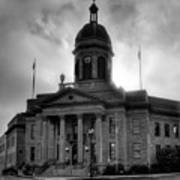 There are no comments for Sunrise On Cherokee County Courthouse In Black And White. Click here to post the first comment. 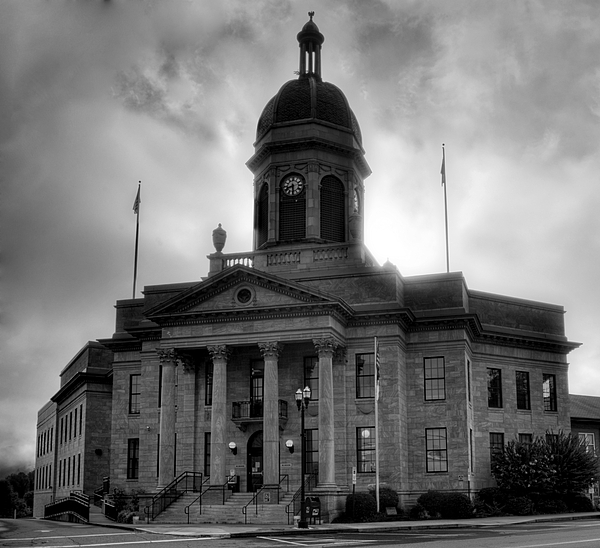 This black and white photograph shows the sun rising over the right side of the Cherokee County, North Carolina Courthouse. Having rained for several days, the sun breaking through the clouds in downtown Murphy, NC was a welcome sight. The blue marble courthouse offered a nice setting in town to watch the light show. Cherokee County is located in the mountains of Western North Carolina. A color version of Sunrise On Cherokee County Courthouse is also available. 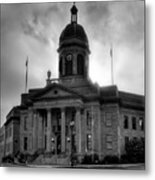 Sunrise On Cherokee County Courthouse in Black and White was photographed by Greg Mimbs.